"Cover art is the first impression a reader gets of a story. No other single influence is more important to a potential buyer in making the purchasing decision. Dawid Michalczyk's interpretation of the space battle in Chapter 5 of The Last Human War produced a gripping cover scene that accurately predicts the excitement a reader can expect from this science fiction story. We are indebted to him for his enthusiasm and attention to detail in creating a cover that always captures the attention of science fiction fans. The American Writers Publishing Company strongly endorses Dawid and his company, Eon Works, for your graphic arts development. 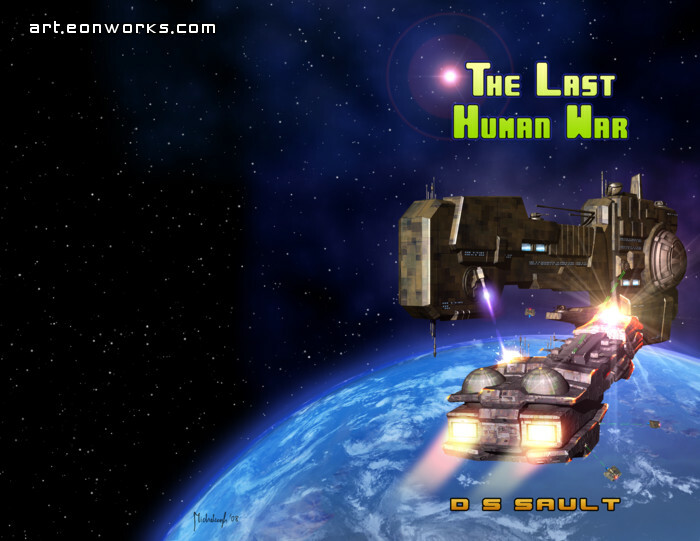 If you are interested in learning more about The Last Human War, please join us at www.lasthumanwar.com where you can (1) read a synopsis of the story, (2) download a free chapter (Chapter 5 that inspired the cover art), (3) learn the backstory that led to the war and (4) read about the aliens featured in the book. In addition, you can purchase the book directly through the website at a discount from the bookstore price."